Overlooking the functional efficiency of a kitchen can result in poor workflow and annoying operational issues. Here’s a look at how you can avoid some obvious and not so obvious ones. It’s quite easy to make a mistake designing a new kitchen. Too little storage, not enough deep drawers, awkward unused corners…. and many more. Unfortunately, once built, it’s very expensive to move things around. That’s why our designers spend hours with our customers, understanding their needs and ensuring that the layout is practical. And because it is custom-designed, we will tweak it till it is perfect. An ideal kitchen is sensibly laid out, allows for smooth workflow and easy utilisation of appliances. Appliances simplify our lives. We want a fair number of them when we are buying a new kitchen. It could be a large double-door fridge, a set of wall ovens – standard, steam and convection, microwave, toaster and light oven and a built-in coffee machine. Customers have an incredible choice of state-of-the-art kitchen appliances, but they all come in varying sizes and have different installation requirements. It’s important that you decide on appliances before ordering the kitchen. 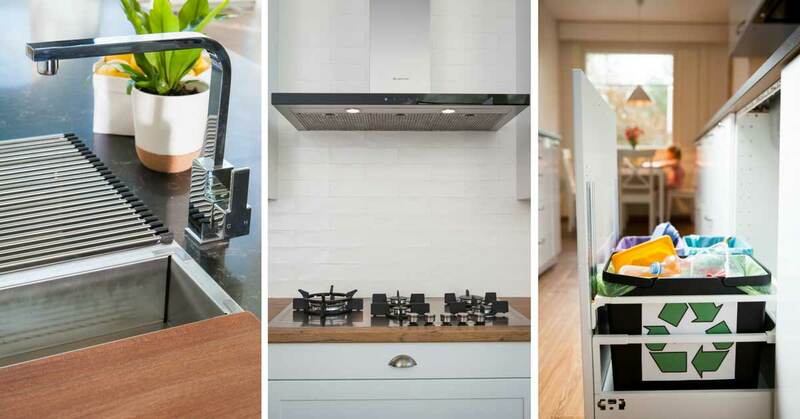 At Zesta Kitchens, we offer our customers a range of the latest European appliances, from dishwashers to ovens. Once you’ve selected what you want, the designers can guide you on positioning them in the kitchen for best operational efficiency. With so much space needed for appliances and storage, the one thing that often gets overlooked is the bench space, especially on either side of the cooktop. Large pots, pans, woks and skillets all need landing room. The best spot for that large bamboo chopping board is also right next to cook-top. There’s varying opinion around how much bench space is ideal, but a family kitchen needs more than 2 meters of clear bench space, especially if there are 2 cooks in the kitchen at the same time. Yes, the island can be used for food prep, but if there’s already a sink there, the space is limited. 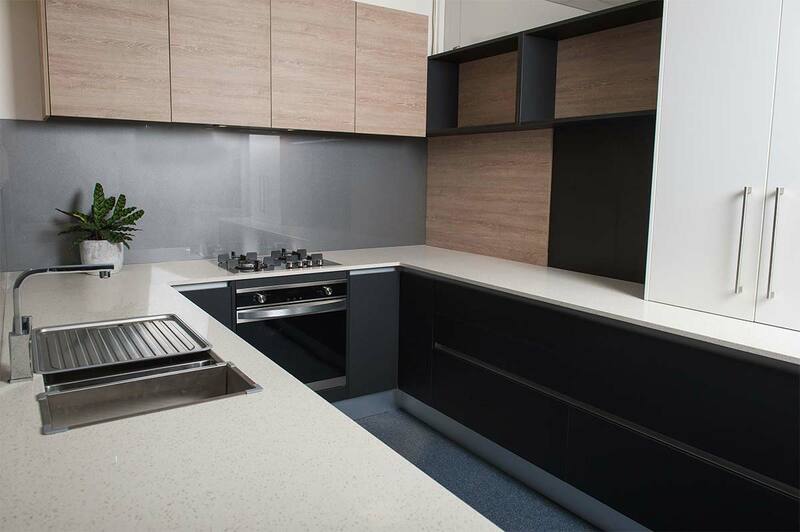 Use the island for serving and entertaining, and the other benchtops for prep and cooking. Open shelving is great when there’s no room to put in cabinetry, but it is not the most practical storage solution for a kitchen. From charming to cluttered is a thin line that’s easily crossed. 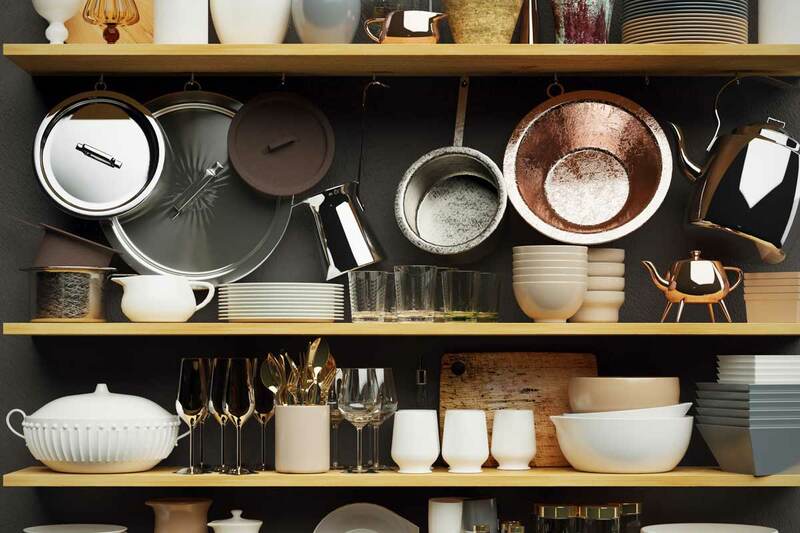 Open shelves can become a mass of mismatched mugs, and unsightly condiment bottles. It’s best to have one display cupboard if you’d like to show off your heirloom dinner set, but put the rest away behind doors. Accessories can sometimes be indifferently selected afterthoughts. It is just not as exciting as choosing the backsplash or the benchtop. That can make your kitchen less than ideal to work in. Neglecting garbage disposal: If you don’t want to have plastic bottles and empty cereal boxes cluttering the kitchen till you can make your way to the recycle bin outdoors, segregate at source. Put in a high-quality double bin system either under or close to the sink. If you’ve got the space, get generously sized ones. 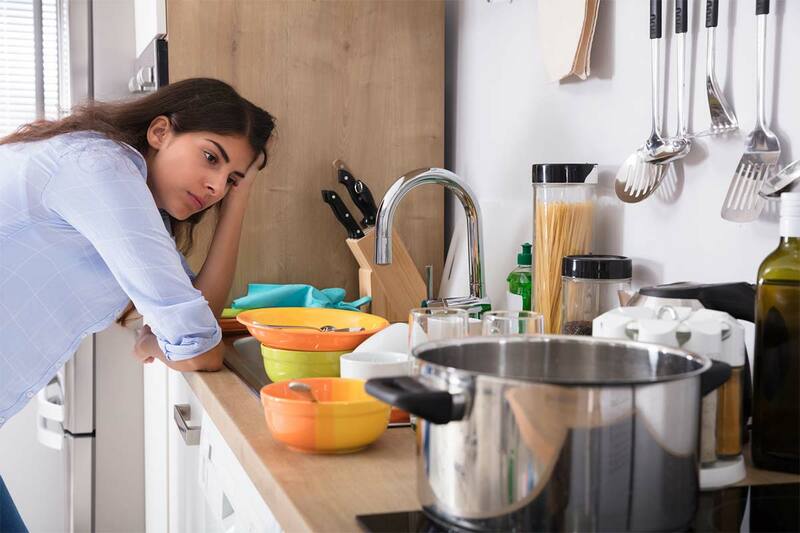 Not investing in a good hood: If you don’t want to smell last night’s dinner when you wake up, invest in a high-quality exhaust fan that will take away food odours. Installing the wrong sink: Having two small dual sinks when you have large skillets and pots can make cleaning up frustrating. The right size for a sink depends on the number of people and type of cooking. Dual sinks with a separate drain board are great if you tend to do the dishes by hand. Adding insufficient power points: If you’ve got a dozen electrical appliances and one set of double power points at one end of the kitchen, how will it suffice? If you don’t have a dedicated appliance cabinet equipped with power points add them on a wall near some bench space. Give the island its own independent power – it can be particularly useful to charge devices away from the bangs, scrapes and spills of a working kitchen. It is quite easy to overlook functionality and make mistakes that become annoying later. That’s why at Zesta Kitchens we encourage a supportive and collaborative process between the customer and our design team to ensure that everything operates optimally. If you are considering a new kitchen in 2018, come into one of our showrooms and we’ll walk you through building an amazing kitchen just right for your family.